This week's newsletter includes information about Education Abroad 101 Sessions, announcement of summer opportunities in the U.K., online Spanish language certification, and Social Media Takeover and Peace Corps Prep Certificate opportunities. Also included is information for the Exchange Program deadlines and Program Spotlights, deadlines for Residential Center Programs and several program, funding and scholarship opportunities! Saeeda Peermahomed International Student Award � Apply by April 4 at 5:00 pm! SiS Study In Spain Student Ambassadors Program...Apply Today! The Portuguese program at UGA has just released a bilingual magazine! UGA's International Campuses (Residential Centers)! Learn about UGA's International campuses! Global Experiences Scholarships --Apply by April 15 for Fall! Foreign Language and Area Studies (FLAS) Fellowship for Undergraduate and Graduate Studies of Portuguese and Quechua -- Apply by April 22 for academic year! Application Deadline for Spring 2018 UGA Exchanges is September 15! This week we are spotlighting the Exchange at University of Liverpool in the U.K! Studying Abroad with a Non-UGA Program for Summer 2017? 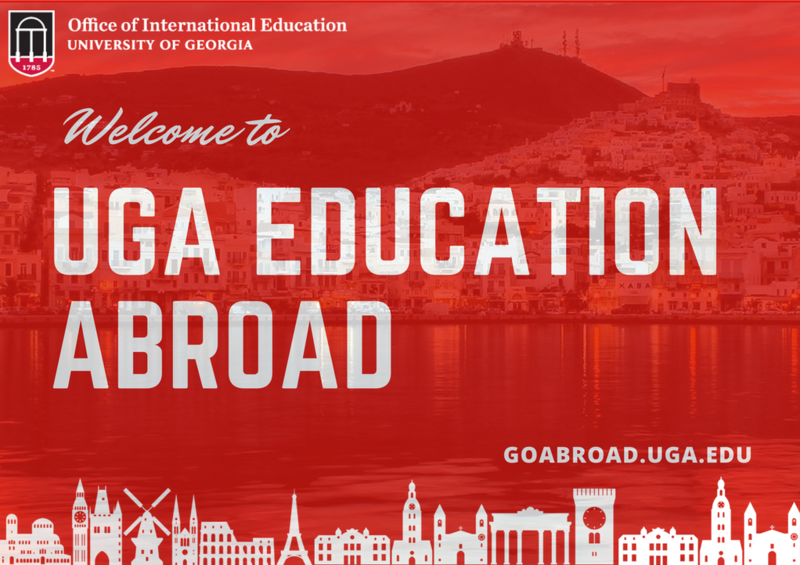 Meet with an Education Abroad Advisor to discuss UGA Study Abroad Requirements! Pre-Med Fellowships in Portugal for Summer 2017- Contact them ASAP! Copyright � 2017 UGA, All rights reserved.